As you may recall, Paula Deen and her brother Earl "Bubba" Hiers were sued for racial and sexual discrimination in the work place in U.S. District Court in Savannah, Ga. In her May 17 video-taped deposition, the 66-year-old Food Network star and Savannah restaurant owner testified that she has used racial slurs, specifically the “N” word, in the past but insisted she and her family does not tolerate prejudice. 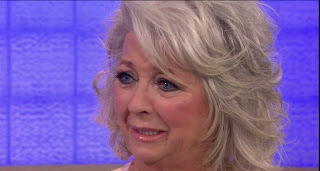 Paula later cried like a baby on The Today Show begging forgiveness as the Food Network pulled her cooking show. As I predicted in my column on June 30, U.S. District Judge William Moore Jr. ruled earlier this week that Lisa Jackson, an ex-manager of Uncle Bubba's Seafood and Oyster House, could not bring a race discrimination claim based on how her employer's alleged racism damaged her relationships with her black subordinates. The former manager alleged that the restaurant owners used racial slurs, barred black employees from using the customer restroom even though white employees could, and refused to hire black employee as hostesses. This all caused Jackson to have significant personnel management challenges as black employees turned to her and she was powerless to rectify their problems, she claimed. In his Dismissal Order Judge Moore found that Title VII does "impose a code of civility in the workplace and while Ms. Jackson may have faced significant challenges in managing a workplace allegedly permeated with racial discrimination, her difficulties do not fall within the zone of interests sought to be protected by Title VII and cannot support a claim for racial discrimination under that statute." His decision is in line with 11th Circuit Court of Appeals authority holding that a white employee’s interests fell outside the scope of the rights and individuals Congress had been attempting to safeguard through the Civil Rights Act. Common Sense Counsel: In a dog-eat-dog world – it pays to hire the right dog. Keep in mind that for the defense attorney defending a client’s deposition, the day can be a nerve-wracking, sweaty armpit experience where a weak performance or just one poor answer can sink a case or for Paula a multimillion dollar business enterprise. First, an attorney should try to dispose of questionable claims in the lawsuit before the client’s deposition. Second, the attorney should seek to limit a client’s answers to offensive and not legally relevant questions, or at the very least file a motion for a protective order to keep the deposition testimony from being made public in a court filing. Third, don’t get bit by your own dog by ignoring racial slurs, jokes, or discriminatory misconduct just because act committed by senior management.